It is not often that Sapphire’s search results appear on the front page of the FT. We are proud to have led this high-profile search for HM Treasury. The Chancellor announced that Dame Colette Bowe and Dame Jayne-Anne Gadhia have been appointed as External Members of the Bank of England’s Financial Policy Committee (FPC). Dame Colette Bowe is the current Chairman of the Banking Standards Board, a Trustee of the IFRS foundation, a Trustee of the Nuffield Foundation and a Visiting Fellow at Nuffield College, Oxford. Until recently, she was also a board member of the UK Statistics Authority and the Department for Transport. Dame Jayne-Anne Gadhia was the CEO of Virgin Money from 2007 until 2018, regularly attended the Prime Minister’s Business Advisory Council, and served as a member of the Mayor of London’s Business Advisory Board. Kate Grussing, the managing director of Sapphire Partners, contested the suggestion that there were not enough women in the talent pool. Sapphire Partners MD Kate Grussing was interviewed live by Sky News on the topic of why companies should be encouraged to do more to find women for their executive ranks and boards. As part of the FT Special Report on Modern Workplace Ethnic Diversity, Kate Grussing was quoted. Kate highlighted how important specific language is as well as teasing out what clients are really looking for. If they want “an Asian candidate”, she asks what nationality or background they are after. Kate Grussing, Managing Director of Sapphire Partners, will be a speaker at this keynote seminar. The focus of this conference will be the further steps that can be taken by Government, employers and others to improve opportunity and equality at work for women. Sapphire Partners were delighted to have been asked by the Treasury Select Committee to share its expertise, and provide evidence to the Committee, for the Women in Finance Inquiry. The hearing focussed on exploring gender diverse recruitment practices. Sapphire Partners is honoured to have been invited to participate in this prestigious Inquiry, reinforcing our strong reputation, over many years, for supporting diversity. How do you make the transition from an executive to a NED role? Kate Grussing, MD of Sapphire Partners, interviews experienced NED Elizabeth Corley about the transition from executive to NED - what it involves, and how to plan for the move. Kate Grussing, MD of Sapphire Partners was quoted in this article “Why we should all mind the pay gap” by Aimee Donellan. Kate emphasises that there is a strong talent pool of female Chief Executives who just need to be given the opportunity to step up. Following the BBC’s revelations on the gender pay gap amongst its top presenters, the Government’s demand that companies with 250 employees or more publish the details of their gender pay gaps by next April, and the pressure that businesses are under to respond to the Hampton-Alexander Review (the government sponsored report on gender equality in the executive of FTSE companies), this article puts gender parity in earnings in the spotlight and suggests it will remain firmly on the agenda. 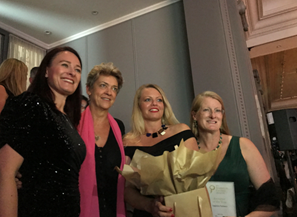 The Sapphire Partners’ team are proud and delighted to share that last night we were the winners of the inaugural Women in Finance Recruiter of the Year Award. Thank you to all our friends and supporters who have helped us achieve this award! As many of you will know, we are passionate believers in the benefits of diversity, in all its forms, to society and business. We have been privileged to work with many wonderful clients and candidates along our journey. We love what we do and, with your ongoing support and belief in our work, we look forward to working with many more of you in the years ahead. Four senior City figures have recommended that FTSE companies be forced to report their data on diversity directly to the Financial Reporting Council. The data would then appear in the companies' annual reports. Dame Helen Alexander, Sir Philip Hampton, Sir John Parker and Baroness McGregor-Smith have made the proposal after separate reviews into levels of female and BME leadership received disappointing responses from companies they sought data from. Kate Grussing, Managing Director of the headhunter Sapphire Partners, welcomed the proposal for annual reporting. "Only those companies that have poor information systems or alarming people data will complain about this new disclosure requirement," she said. Sapphire MD Kate Grussing was quoted in this article “FTSE firms face targets for women in top jobs” by Aimee Donnellan. Following the launch of Sir Philip Hampton’s government-backed review into women in the executive pipeline in February, it appears likely that the review will recommend that women should occupy at least 25% of companies’ top executive posts, a target that could be raised to 35% when the Hampton-Alexander review is published in November. Kate emphasises that targets make a material difference but it is important to set an achievable goal in a timeframe that is feasible. Kate Grussing, MD of Sapphire Partners, discusses her perspectives on ‘how to become board ready’ with KPMG Connect on Board. This new website has great resources and aims to connect non-executive director candidates with organisations seeking to build better boards. Sapphire Partners was recognised in The Female FTSE Board Report 2016 for the firm’s role in helping Cranfield University to identify this year’s list of 100 accomplished board ready women. Sapphire has been a long time contributor to this showcase of the broad and deep talent pool for UK Plc to draw on. These 100 are by no means an exhaustive list as the pipeline of board ready women has never been stronger. Sapphire Partners MD Kate Grussing shared her pragmatic advice on “how to land your dream job” in a discussion with Wanda Wallace, on the Voice of America Radio programme Out of the Comfort Zone. Sapphire Partners proprietary research on the London Stock Exchange’s premium listed Initial Public Offerings in 2015 is profiled in this Forbes article ‘U.K. New Premium Listings In 2015: 32% Showed No Boardroom Diversity At IPO’ by Dina Medland. Kate emphasises that the boards of the 25 premium listed IPOs in 2015 in the U.K. really missed a trick in not coming to market with greater diversity among their non-executives as unlike the FTSE 100 or FTSE 250, recently listed companies all could have started their lives as plcs with truly diverse boards. Sapphire Partners proprietary research on the London Stock Exchange’s premium listed Initial Public Offerings in 2015 is profiled in this FT article ‘Initial public offerings laggard boards ‘must try harder’ after IPOs highlight lack of diversity’ by Mary Childs. Sapphire’s research analysed all 25 new premium listings in 2015 on the LSE and found that almost a third of the companies had no black or ethnic minority board members. Kate Grussing, Sapphire MD, highlights the missed opportunity in these boards not coming to market with greater diversity. IPOs are an important milestone for growing companies and an essential channel for fundraising and investment. When any new company debuts the board composition is a telling indicator of the company’s ambitions and prospects for both the universe of potential investors and corporate governance experts. Sapphire MD Kate Grussing was quoted in this article “Q How do you hit the target for women on boards? A Cut the men!” by John Collingridge and Aimee Donnellan. The article states UK boards are shrinking in size, thereby enabling 31% of them to improve their proportion of women NEDs. Kate highlights her disappointment at the findings released in the EHRC report as the representation of women on boards is far weaker than the headline numbers suggest. Kate Grussing, MD of Sapphire Partners, is quoted in this article ‘Bonfire of the bankers’ by Aimee Donnellan. With the announcement that banks are to slash thousands from their payroll Kate emphasises that the banking sector drives the British economy. Any cutbacks in banking will also impact their suppliers including accountants, law firms, management consultants and head-hunters which all greatly rely on the banks as clients. Britain’s biggest companies are to be set fresh targets to shatter the glass ceiling. A government backed report to be published later this year will demand that women occupy at least 25% of top-earning positions at FTSE 100 companies within five years. The review by City grandee Lord Davies of Abersoch is intended to encourage companies to build a “pipeline” of women who can lead Britain’s biggest businesses. Sapphire Partners MD Kate Grussing was quoted in this article ‘Women still left out of top FTSE positions’ by Madeline Ratcliffe. Kate emphasises that although the FTSE 100 companies have met the target of having 25% female directors, the lack of momentum of women gaining executive roles remains a challenge. Sapphire Partners were quoted in this article ‘FTSE 100 boards are finally 25% women Hitting Lord Davies' target is good, but British business can and should do better’ by Rachel Savage. Kate Grussing, MD of Sapphire, is quoted in this article ‘Blue chips hit target for women on boards’ by Aimee Donnellan. Kate confirms FTSE 100 boardrooms have finally reached the target of having 25% female directors. The target was set four years ago by then business secretary Vince Cable after an inquiry led by Mervyn Davies. Kate emphasises that progress is still slow in the executive pipeline with figures showing women account for less than 10 % of all executive roles in the FTSE 100. Sapphire Partners quarterly “Movers & Shakers” research is quoted in this Forbes article ‘U.K Sees Rise In Pipeline Of Future Women CEOs’ by Dina Medland. Sapphire’s proprietary research tracks 186 new female NED and executive appointments alongside 36 departures in the last three months. Sapphire Partners research launch “Opening the Black Box of Board Appointments”, published today, was profiled in this article ‘The opaque path that leads to the boardroom’ by Alison Maitland. Researchers at King’s College London conducted in-depth interviews with 30 men and women looking into their routes to the boardroom. One of the findings of the study was women receive more advice and encouragement to join boards, but are less likely to have powerful sponsors. Another difference between men and women was that men were more creative in their searches as well as aspiring to want to chair boards, while women simply sought a seat at the table. Sapphire Partners MD Kate Grussing was quoted in this article ‘Pregnancy is still a career killer’ by Maddison Marriage. Kate emphasises the importance of fund management companies better managing maternity leavers and some best practices, highlighted in FTfm’s second annual Women in Asset Management survey, which polled more than 700 fund management employees globally. Sapphire Partners has been recognised by the Department of Business, Innovation and Skills for our work promoting women non-executives in the recent accreditation process of executive search firms supporting the voluntary code of conduct. Sapphire was one of the early signatories to the voluntary code and were active in crafting the recent revisions to the code. We are proud of the work we do helping our clients recruit exceptional candidates: in the last four years 50% of our placements have been women. Sapphire Partners quarterly Movers & Shakers research is highlighted in this article “Record number of women take seats in the boardroom” by Margareta Pagano. Sapphire’s proprietary research tracks 85 new senior female executive appointments, including 11 CEO appointments, alongside 54 NED appointments in the last three months. Sapphire Partners MD Kate Grussing took part in a discussion with Frances Cairncross, economist and Rector of Exeter College, Oxford on the BBC Radio 4 programme Woman’s Hour. The topic under discussion was Women in Finance: America versus UK and how will Janet Yellen’s appointment to the most powerful banking job on the planet make a difference for women. Sapphire Partners quarterly Movers & Shakers research is quoted in this article “It is imperative to nurture UK’s female talent” by Lisa Buckingham. Sapphire’s proprietary research highlights 464 female NED & Executive appointments alongside 94 departures in the last nine months. Sapphire MD Kate Grussing is quoted in this article ‘Women disappear from executive jobs’ by business editor Jonathan Prynn. Kate highlights her disappointment at official figures released by the Office for National Statistics, suggesting that women are still struggling to break the glass ceiling as measured by executive pay at the time their careers should be peaking. Kate Grussing, MD of Sapphire, is quoted in this article ‘Ready for the board’ by Tim Smedley. Kate emphasises the pipeline of female talent and the fact that any headhunters and chairmen who say they have trouble finding well qualified women need to look harder. Sapphire MD Kate Grussing is quoted in this article ‘Catch 22 for women Neds’ by Carly Chynoweth. Kate highlights the strong supply of executive level women and the important role of research such as Cranfield University’s women to watch report to which Sapphire’s work was a major contributor. The firm is celebrating these accomplished women at an event at the House of Commons this Thursday. Sally Springbett, Director of Sapphire, spoke on CNBC’s live flagship show about the role companies, headhunters and women have to play in order to achieve a greater pipeline of senior female executive talent to move into board roles. Sapphire’s MD is profiled in this popular Financial News column reflecting on her traditional career in finance and her subsequent experience building a business and her passion for promoting top talent, both diverse and mainstream. Sally Springbett, Sapphire Partner’s Director, is quoted in this article “Women on a high in UK’s blue-chip boardrooms” by Jonathan Owen. The number of female company directors is increasing but we are still ‘decades away’ from equality. In the light of the “Female FTSE Report” and Cranfield’s “100 Women to Watch” being published this week, the article discusses the ever growing talent pool of women and what it takes to get on a board. Kate Grussing is quoted in this article on the role the London Olympics played in exposing more men in business to the benefits of flexible working and the importance of men to start demanding the right to work flexibly. Kate Grussing is quoted in this article ‘Small is beautiful for women directors’ by Hannah Prevett. Lack of diversity is evident in smaller businesses, not just the biggest public companies. What are the issues keeping women off AIM boards? Kate Grussing’s comment on Majorie Scardino’s departure from Pearson. Kate Grussing (Managing Director of Sapphire Partners) was interviewed live on the evening news on the subject of senior women in business. Kate commented on the strong interest of the UK’s top PLCs in promoting and retaining female talent and what the real challenges are for companies and ambitious women in business. Kate Grussing (MD of Sapphire) was profiled in episode one of this two part series examining why so few women make it to the top in business. This is one of the BBC’s first meaty programmes on the issue of why men still hold more than 80 per cent of Britain's senior jobs, examining factors like the leaky pipeline, maternity leave, the cost of childcare and women's leadership style. Kate suggested many of the participants and experts who were filmed. Her cameo appears near minute 34. The filming took the better part of a day. Click HERE to watch the program on iPlayer. Kate Grussing responds to Vince Cable’s recent points illustrating the value women bring to running companies. 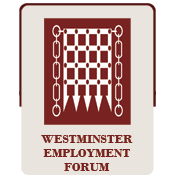 Sapphire MD Kate Grussing gave oral evidence at the House of Lords regarding the implications of EU quotas for female non-executive directors. Kate emphasised two points: the critical mass exists of talented board-ready women in the UK and the growing importance of getting more women into executive roles in companies. For the parliament TV video click HERE. The lack of women in the C-suite and corporate boardroom has been making headlines on both sides of the Atlantic. The issue is symptomatic of a much larger problem: Highly qualified women are not breaking through to leadership positions in numbers commensurate with their presence in the talent pool. For the full article click HERE. Sapphire Partners’ innovative research reporting on the pipeline of 216 senior female appointments is quoted in an article by Jill Treanor (City Editor) in The Guardian, 28 May 2012. Sapphire was one of ten executive search firms interviewed by Cranfield examining the impact of the new voluntary code. Sapphire’s work challenges the assumption that there are not enough qualified women to take up senior executive and board roles. CLICK HERE to read the antipodean version.